, quilting supplies, or for a service like a treehouse builder gave us an opportunity to deliver valuable ads that were useful and relevant in the moment. That idea was the start of our first advertising product, and led to the ads business we have today. The new Google Ads brand represents the full range of advertising capabilities we offer today—on Google.com and across our other properties, partner sites and apps—to help marketers connect with the billions of people finding answers on Search, watching videos on YouTube, exploring new places on Google Maps, discovering apps on Google Play, browsing content across the web, and more. For small businesses specifically, we’re introducing a new campaign type in Google Ads that makes it easier than ever to get started with online advertising. It brings the machine learning technology of Google Ads to small businesses and helps them get results without any heavy lifting—so they can stay focused on running their businesses. To learn more, visit this post. We’re enabling stronger collaboration for enterprise marketing teams by unifying our DoubleClick advertiser products and the Google Analytics 360 Suite under a single brand: Google Marketing Platform. We’ve heard from marketers that there are real benefits to using ads and analytics technology together, including a better understanding of customers and better business results. Google Marketing Platform helps marketers achieve their goals by building on existing integrations between the Google Analytics 360 Suite and DoubleClick Digital Marketing. The platform helps marketers plan, buy, measure and optimize digital media and customer experiences in one place. To learn more, visit the Google Marketing Platform blog. We recognize that the way publishers monetize their content has changed. With people accessing content on multiple screens, and with advertisers’ growing demand for programmatic access, publishers need to be able to manage their businesses more simply and efficiently. That’s why for the last three years, we’ve been working to bring together DoubleClick for Publishers and DoubleClick Ad Exchange in a complete and unified programmatic platform under a new name–Google Ad Manager. With this evolution, we’re excited to do even more for our partners—earning them more money, more efficiently, wherever people are watching videos, playing games or engaging with content, and however advertisers are looking to work with them. To learn more, visit the Google Ad Manager blog. is already tapping into tools like YouTube Director Mix to harness the power of personalization, while 20th Century Fox is pairing experimentation with Video Ad Sequencing to give viewers story-driven introductions to new films. Testing video creative can be expensive, time-consuming and not always indicative of real-world performance. That’s why we’re launching Video experiments, a head-to-head testing tool in AdWords that works with brand lift measurement and allows you to measure the impact of creative on key metrics like awareness, consideration, purchase intent and more. Cleanly segmented experiments run on YouTube at no extra cost beyond media investment and deliver results in as few as three days. Video experiments, launching in beta later this month, convert non-working media spend typically used for focus groups in simulated ad environments into working media spend in real ad environments. On YouTube, people only watch what they want, making it an ideal testing ground for actionable results you can trust. Generating reports on creative performance can be a repetitive and manual process for AdWords users, so we’re launching new features to make the process of uncovering quantitative creative insights easier. Our initial launch brings audience segmentation to retention reports so you can better understand how your creative captures the attention of different groups. Later this year, we’ll introduce the ability to annotate key moments within your video ― like logos or product shots ― and show you what percent of your audience saw these key moments. In doing so, you can keep track of how different creative elements influence campaign performance and use that to develop ideas for your next creative brief or video experiment. Telling relevant stories that command attention is challenging, especially at scale. That’s why we’re committed to building tools that enable great storytelling on YouTube. YouTube Director Mix, currently in alpha, lets you create many versions of a base video and set elements to be swappable ― customizing text, image, sound and video elements to assemble the right video for the right audience and context. Video Ad Sequencing, also in alpha, lets you tell your brand story over a series of ads set in a specific order, or showcase your product message across multiple pieces of content. By showing your story in sequence, you have the potential to drive deeper engagement, awareness or consideration. We’re excited to see how you use these new tools. Every year at the Cannes Lions festival, the world gathers to celebrate creativity in marketing, design, tech and entertainment. The festival is a great source of inspiration, with thought-provoking programming that awakens the creative senses of people and brands alike. YouTube’s creative canvas represents an exciting opportunity for brands and agencies to reimagine their approach to video. To help, we’re creating a new set of tools. Today, we’re introducing YouTube’s creative suite, a collection of resources to help you tell great stories on YouTube, test creative variations and measure creative impact. Kellogg’s is already tapping into tools like YouTube Director Mix to harness the power of personalization, while 20th Century Fox is pairing experimentation with Video Ad Sequencing to give viewers story-driven introductions to new films. 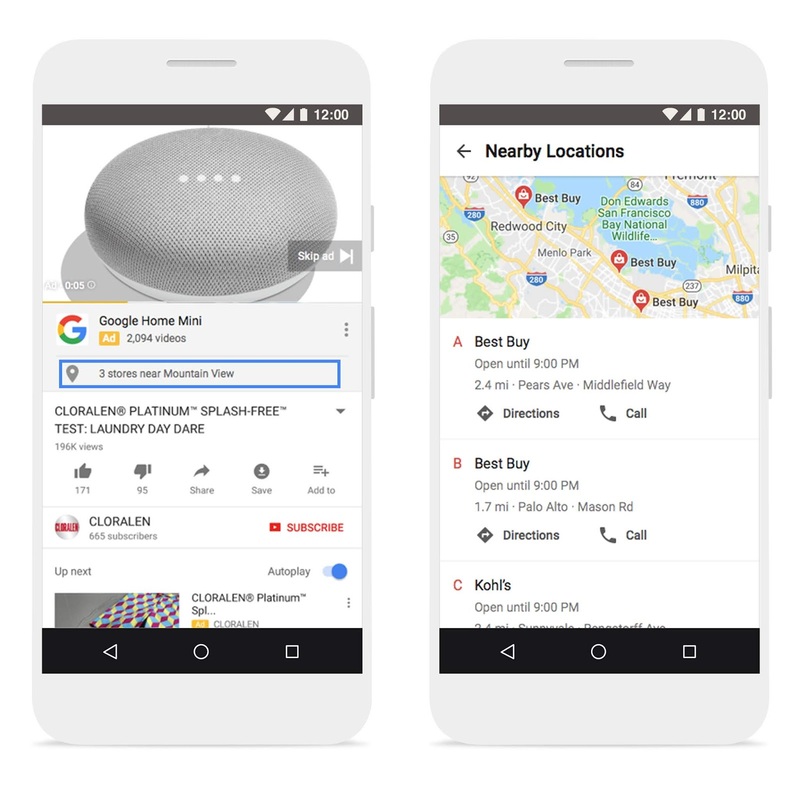 New local catalog ads on Display will also roll out to all advertisers by the end of the month to help shoppers discover what you sell, then visit your store. One-third of shoppers say finding inspiration is something they enjoy most about shopping.3 This interactive experience highlights a hero image and your inventory in an easy-to-scroll, mobile layout that helps shoppers explore your products. It also features in-store availability and detailed pricing information. This new format can complement your traditional print campaigns – including catalogs, flyers, and circulars – with the added audience and measurement benefits of digital ads. Boulanger is one of the largest electronics and appliances retailers in France. The retail brand had a special promotional event for Spring 2018, so it turned to local catalog ads to boost its sales. Boulanger showcased a cheerful lifestyle image, a message welcoming the season and products carefully curated for local in-store promotion. With help from both click-based and impression-based store visits* (launched in March), the campaign drove over 20K visits to its stores, delivering a return of 42 times its investment on ad spend. *Store visits are estimates based on aggregated, anonymized data from a sample set of users who have turned on Location History. Beyond availability of products in store, we know that price is also a top consideration for consumers. 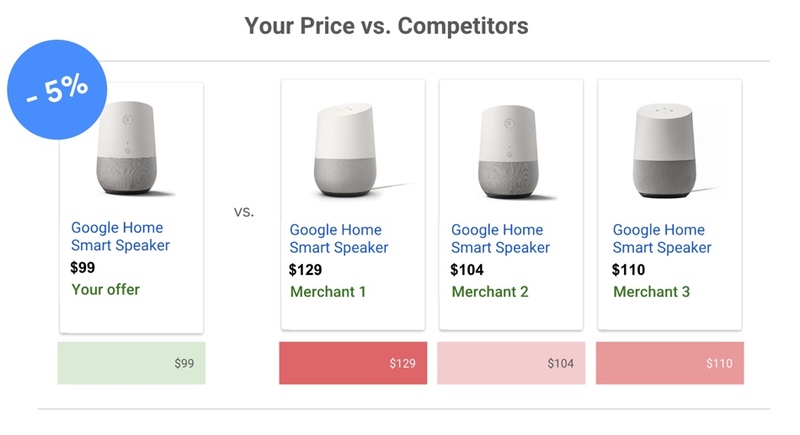 New price benchmarks in AdWords reporting will be available soon to show Shopping advertisers how other retailers are pricing the same products. You can use these pricing insights to inform your bidding strategy when you have price-competitive products to promote, to influence pricing strategy with your merchandising teams, or to troubleshoot performance drops due to competitors’ pricing. For example, let’s say you find that you’re selling a sweater for $40 while most retailers are selling the same sweater for $60. You may choose to bid up on this sweater because your product is more price-competitive in the current market and will appeal to more potential customers. Consumers continue to be open to new ways of discovering and buying products. 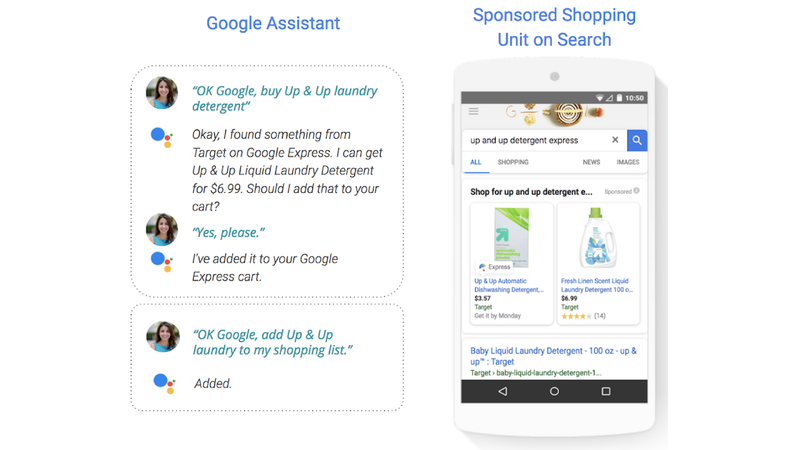 Today at SMX Advanced, we shared an update on Shopping Actions, the program we launched in March to give consumers an easy way to complete the purchase from retailers, while on Google platforms like Search, the Assistant or by voice. As always, SMX Advanced is an exciting event that brings leading marketers together. We hope you'll join us in our Learn with Google Classroom to connect and hear more about how these new products can help you grow your business.